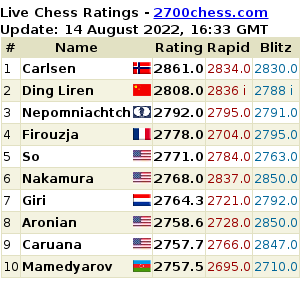 The Crazyhouse Chess Grand Prix is shaping up with the strong players making their way to the top of the table. FM Dabee (Adebayo Adegboyega) is still leading the pack with a very high margin as expected. However, the likes of ZGM Adet, Samostically raised their game to make sure that they don’t lose touch with the top 3 – FM Dabee, Adewale, Manfromspain. With another 8 tourneys to go and with the likes of other strong contenders such as IM Dapsay, Bayormiller, CM MorpehusPro there is still a lot to play for and the order of the table can still change. GrandPrix 5 is expected to take place tonight 5th August 2018 @ 2200 on www.lichess.org.